A new system for capturing virtual reality video footage has been launched this week over on the Indiegogo crowdfunding website, that provides an easy way to relive your favourite memories using the latest virtual reality technology. 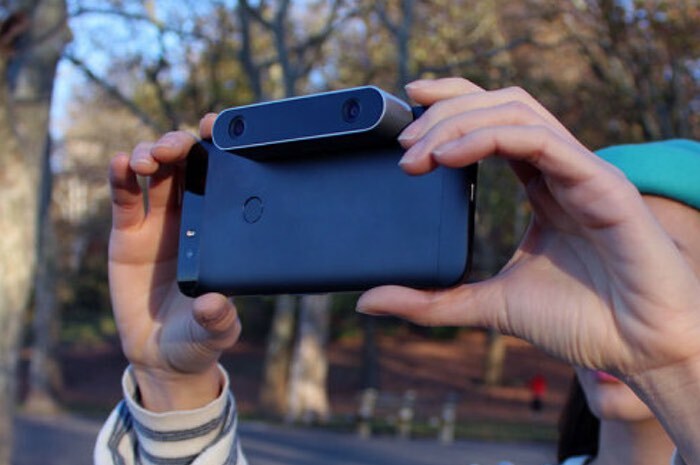 The Teleport VR system consists of both a headset and camera that is connected to your smartphone and supports both Android and iOS devices from 3 to 6 inches in size. People love to take pictures and record videos. But what people love even more are the memories preserved within those images and videos. Those memories are now fully captured on Teleport 3D Camera, an entirely new way to save the best memories of your life in 3D. To capture those special moments, simply plug the Teleport 3D Camera in your phone and start shooting. It’s that easy! Teleport 3D Camera has 2 lenses that work the same way how our eyes see the world; it captures everything you see in 3D. Here are some 3D videos shot on Teleport 3D Camera. Watch them in Teleport VR Headset for the best viewing experience. You can also watch them in another VR Headset like Google Cardboard. For more information on the new Teleport VR capture and playback system jump over to the Indiegogo website for details and to make a pledge from $49.